NOTE: because they added a side bar on the 2017 models you will have to drill a hole to mount the clamp. This can be drilled with a standard 1/4' drill bit in about two minutes. 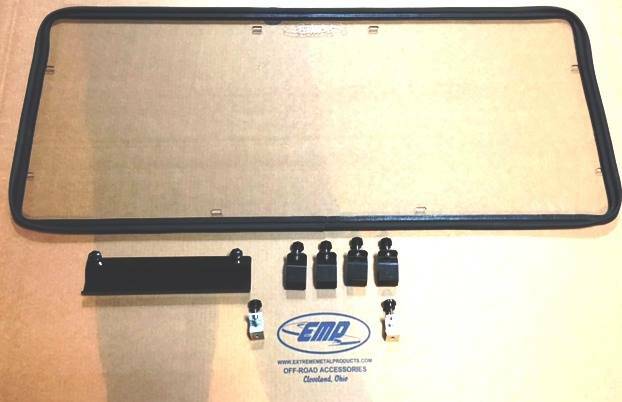 Our next production run will have the additional holes added or moved (12/21/16). Can be removed in minutes without any tools. Includes: All mounting hardware and brackets. 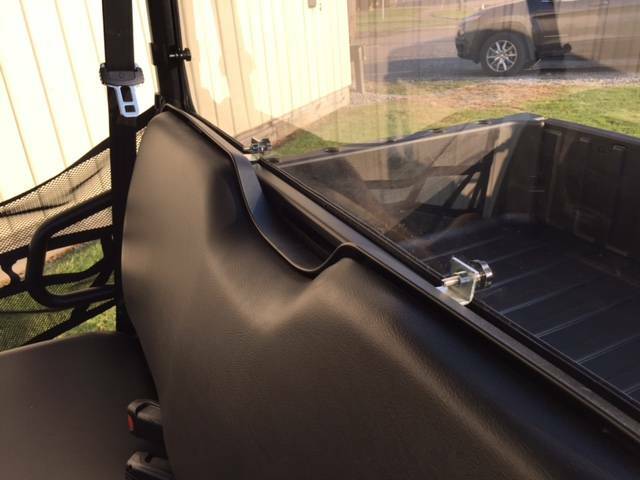 Enclose the back of your Ranger with this Hard Coat Polycarbonate cab back. Keep the dust and rain off your back. It attaches with the brackets and thumb screws provided. 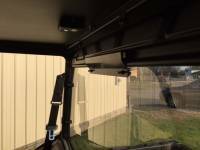 You can easily remove it in a couple minutes without any tools by just removing the thumbscrews. 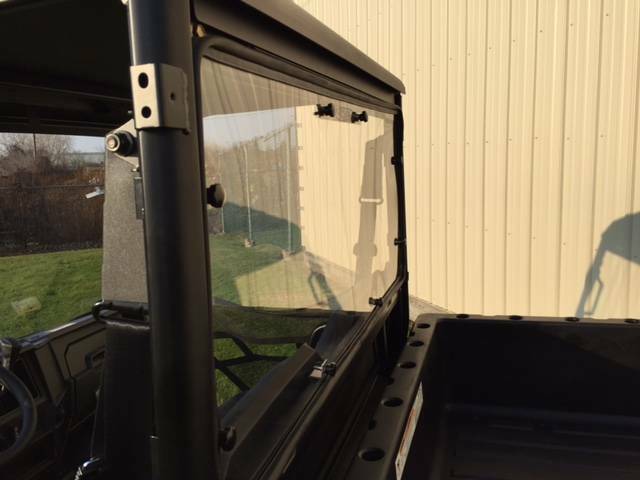 It is pictured the with the EMP Aluminum top P/N 12736 and the EMP hard coated windshield P/N: 12711.